“So…do you have any questions for me?” Tick, tock. Gulp, gulp. Preparing for your interview is a tedious task in itself. Dressing well, getting together all the required documents etc…you’ve dealt with everything, but do you know what you’d ask the interviewer at the end of the interview? Or will you be one of those few candidates who say they have no question to ask at the end of it all? Remember, every minute during your interview is a test. You are being screened and watched. Someone out there is observing every part of you, your reactions, your expressions – everything. So its always best to be thoroughly prepared, to be ready with a set of questions that you can ask the interviewer once he’s done talking. An interview is like a busy street. One side stops at a red light, while the other side gets ready to move. 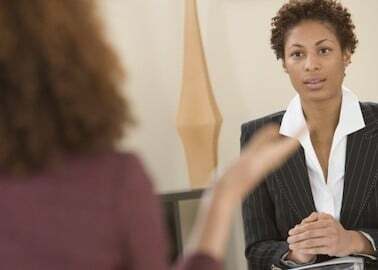 Similarly once the interviewer has checked out your basic credentials and has asked you the key interview questions, it will be your turn to step in and do the questioning. Remember that every interviewer expects some question at the end of the session and will think you’re not very interested in the job if you sum up the interview saying you have no question. So be serious, be formal, stay smart and speak politely yet confidently to bag that job! A few sample questions that could be directly used or modified and used are given below to give you an idea of what you could ask the interviewer. What is the work environment here like? Is the company strict about following office timings? Can you describe to me the philosophy of the organisation? What are the appraisals and evaluation techniques used and how far apart are they? Do you always appoint employees on a contractual basis? Are there any other options? What are the prospects for advancement? Why do you feel I’d be ideal for the job? How long do I have to prove myself? What can you tell me about the management style? Will I be required to join immediately? Who are the key people in the company as of today? What are their backgrounds like? Can you tell me more about the people I’d be working closely with? Can you give me in writing what my day-to-day responsibilities would involve? Assuming I was hired, what additional tasks would I be expected to take on in the short-term period? How long has this post been vacant and what are the immediate department problems that I’d have to deal with? How many people would be working in the same department? Is overtime expected and paid for? Will I be expected to travel for work? Does the company offer any other specific perks to its employees? Can you tell me a little about the employee insurance policies? Assuming I’m hired, what advice would you give some body in my place? How many branch offices does the company have? Will my work involve travel to all the other branches? What is the holiday leave policy adopted by the company? Are the present lot of employees ones who’ve been associated with the company since long? Is there a policy laid down for dress codes? Could you explain your organizational structure to me? What are some of the skills required to succeed in this job? What kind of work will I be expected to carry out for the first year? Does the organization believe in supporting individual career growth? Can you introduce me to one of your ideal employees? Does the company provide for regular training sessions and seminars to upgrade and refresh employee skills? Are there any yearly off-campus trips scheduled? Are decisions made by the department head or with the entire team? What are the short term plans of the organization? How does the upper management view the importance of this role? Will I be in close contact with the management team? What other HR development programmes are offered by the company? What is the company policy on offering grants for employee education? At the end of your interview, summing it up with a quick and formal “Thank you” and firm handshake is as good as playing it safe. Don’t start getting too friendly immediately. Be on your guard and on your best behavior. Don’t act like as though you’re already part of the organization. Otherwise it will be a classic example of counting your chickens before they hatch. Wait for the offer letter to reach you first before you start the celebrations! So go ahead and bag that job now!